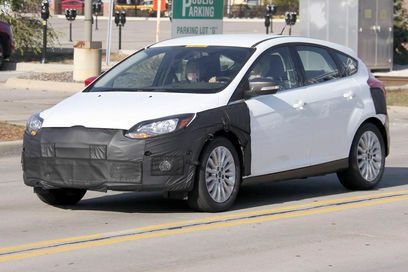 Spies over at Auto express have just captured this Focus Electric mule undergoing testing, and it’s the first we’ve seen that uses the new mkIII Focus bodyshell. Along with the blanked-off rear bumper, the car features disguises over the area where the fuel filler cap is on both sides, which could mean that the Focus Electric will feature plug sockets on both side of the car, making recharging easier. Ford began its Focus Electric project with the launch of a number of prototypes based on the current generation car at the 2009 Frankfurt Motor Show. 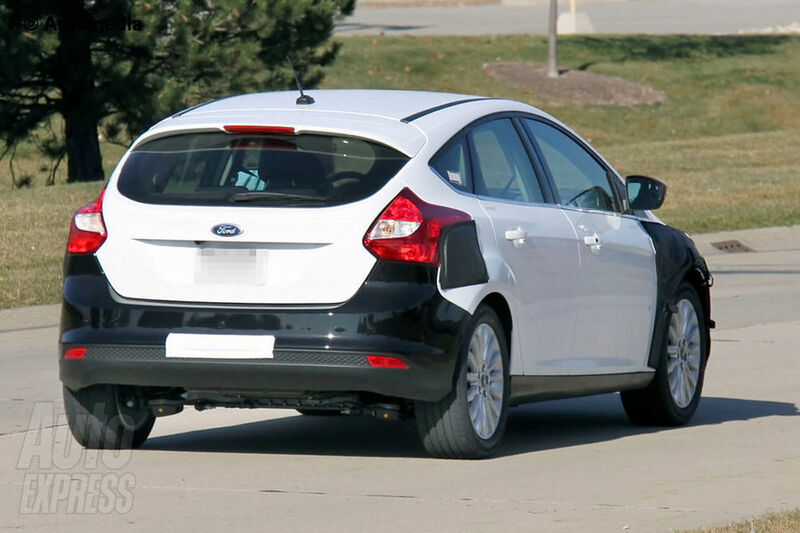 Called the Focus BEV, it had boot-mounted 23kWh lithium-ion batteries which powered a 134bhp electric motor. The range is 100 miles and top speed is 85mph. At this year’s Geneva show, Blue Oval bosses confirmed that the Focus Electric will be based on the new Focus, and will go on sale in the US in 2011, before arriving in the UK in 2012. Expect the production Focus Electric to feature similar specs to the BEV prototype, which will put it on a par with the Nissan Leaf for range and performance. The electric Ford will join an electric version of the Transit Connect, and is followed by two next-generation petrol hybrid-electric vehicles and a C-MAX plug-in hybrid in 2013.